Sun seekers at the iconic Caribe Hilton on a secluded beach in San Juan would have had no idea what was afoot in a hotel room upstairs. A special agent posing as a venture capitalist from Texas was negotiating with two Turkish businessmen for pricey chemotherapy drugs that had been smuggled into the country. Listening in from the adjoining room were another special agent, a U.S. attorney, and a team of translators. Soon after the deal was sealed, the Turkish suspects left the Hilton, only to be surrounded by local police and federal agents wielding guns. But this wasn’t an FBI sting or DEA operation. The lead agent in that hotel room was Spencer Morrison, of the Food and Drug Administration’s Office of Criminal Investigations. The OCI, it turns out, is staffed by 300 gun-toting officers, all of them employees of the same bureaucracy that issues food recall notices and verifies that medicines are safe and effective. But it is little-known in Washington or beyond. Morrison recalled that, after he made his first arrest, he had to explain three separate times to the suspect that he was not from the FBI or the DEA, but from the FDA. “You mean to tell me I got arrested by the Food and Drug Administration?’’ the suspect moaned. 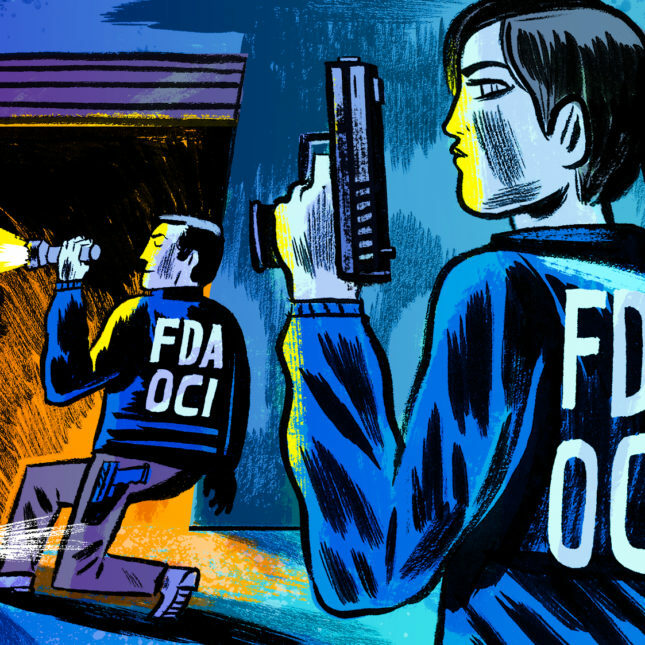 Others in Washington have been just as incredulous, arguing that in protecting America’s food and drugs, the FDA should act more like regulators than cops. The debate has intensified recently. In interviews with STAT, eight former FDA officials and agents said there is more uncertainty than ever about the mission of the Office of Criminal Investigations. Complicating matters, the FDA has struggled to find and install a permanent leader for the division for nearly two years. 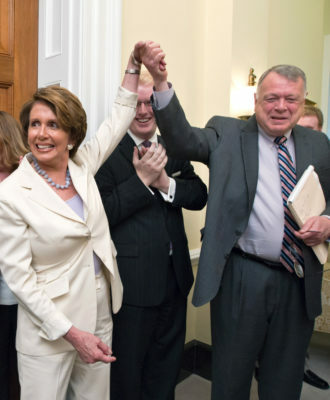 Other lawmakers, in contrast, are now seeking to empower the bureau as a central pillar in the federal effort to respond to the opioid epidemic. Being an OCI agent is not for the weak of heart. Agents are seen as “knuckle draggers’’ by their doctor colleagues. They’ve been dragged through the mud by investigation after investigation by both government watchdogs and lawmakers. And every few years, a reporter pokes around and digs up some embarrassing dirt about how the agency operates. Even worse, former agents complain that the medical side of FDA never wanted them in the first place. “We do some really good work out here in the field, not with the support of the leadership but in spite of the leadership,’’ one former agent told STAT. The former agent now works for a drug company and requested anonymity because they are not authorized to speak on behalf of their employer. Day to day, agents blend in with civilians. They wear jeans and polos and keep their firearm concealed. They’ll often hand out business cards to witnesses they interview for cases. (Though they also have their official metal badges, often stowed away in a leather wallet.) When they’re talking to doctors, sometimes they’ll put on suits to look more professional. When executing a search warrant, they will wear blue and yellow “raid jackets” that have “FDA-OCI FEDERAL AGENT” emblazoned on the back. Mostly, the agents seek to be as casual as they can because they don’t want to stir up fear in potential suspects or witnesses. But even as they try to blend in, these badge and gun OCI squads stand out at an agency where doctorates in chemistry far outnumber bachelors in criminal justice. The office was created by Congress in the early 1990s, as part of its response to an FDA corruption scandal, when a handful of FDA officials had been indicted for accepting bribes from generic drug makers attempting to get their drugs approved more quickly. And OCI doesn’t just put people in cuffs, it also brings in a lot of money for the government — $455 million in fines and restitution in 2017 alone. Its agents are scattered between major cities and far-flung towns like Owensboro, Ky., and Windham, N.H. In all, there are 44 offices around the country — including some “outposts” operated out of a given agent’s home. Broadly speaking, its work isn’t unlike the FBI’s or the DEA’s. Just like the FBI, OCI keeps a public list of “most wanted” fugitives. Its list, however, features drug counterfeiters and quack doctors in place of the more typical murderers, rapists, and arsonists. Cellou Jumaine, for example, is wanted by OCI for importing 990,000 tubes of counterfeit Colgate toothpaste from China. 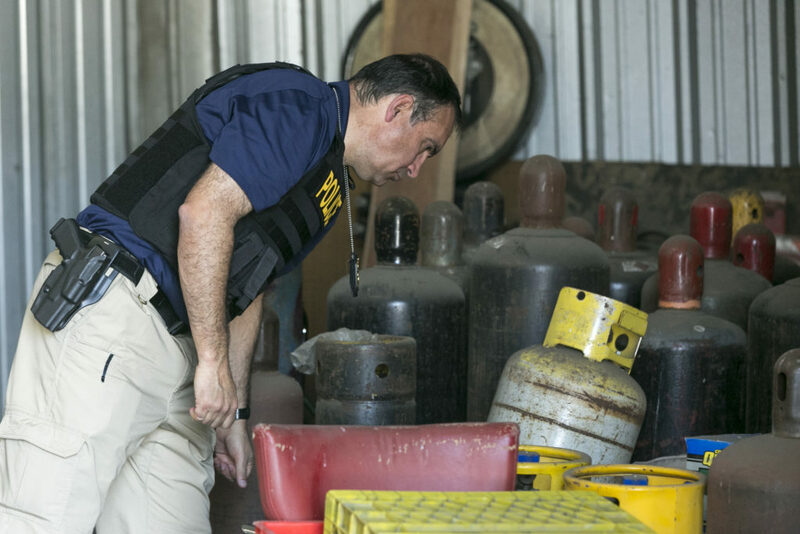 OCI agents have tracked down drug dealers selling fentanyl on the dark web, arrested salon owners for injecting unregulated silicone into clients’ buttocks, and investigated smuggling of a Korean human growth hormone for professional wrestlers. They have also been at the forefront of some of the most notable criminal cases involving the pharmaceutical industry. 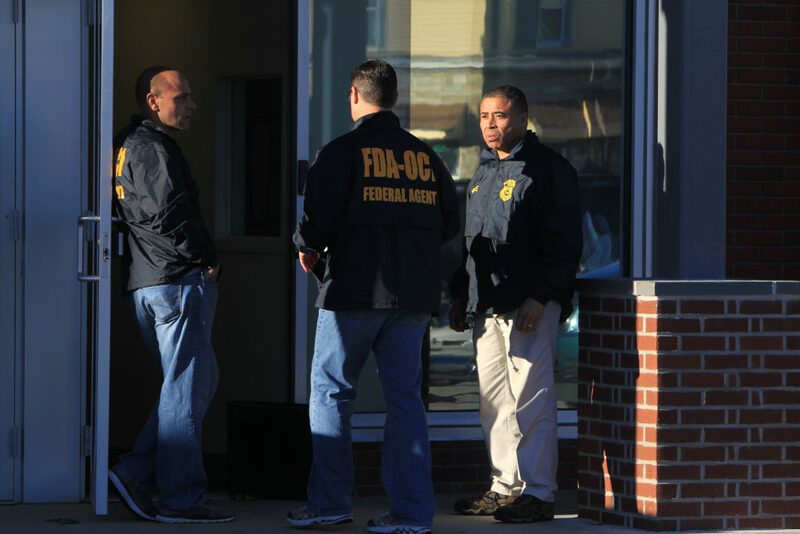 Earlier this year, OCI put the pharmacist responsible for the New England Compounding Center’s fungal meningitis outbreak behind bars for nearly a decade. The office also played a key role in GlaxoSmithKline’s $3 billion dollar settlement over off-label promotion in 2012 — the largest settlement in drug industry history. The OCI’s mission has always been in flux, in part because its mandate allows it to probe everything from synthetic marijuana to contaminated cantaloupe — and it has investigated both. Complicating matters are the various members of Congress and the parade of division leaders, all of whom have had a different view of the bureau, sometimes leaving the agents demoralized. The last director, George Karavetsos, resigned in January 2017 to take a job at the law firm DLA Piper. 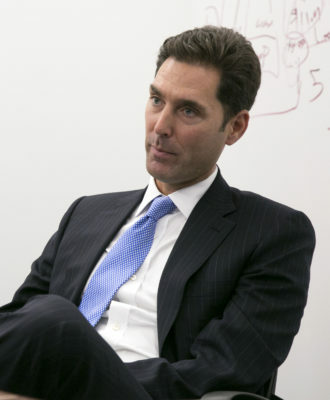 In an interview, Karavetsos said his biggest focus had been keeping OCI “relevant.” One of his first moves as director, he said, was crafting a priorities list that took into account both agent’s on-the-ground experience and FDA’s public health priorities. That led him to direct agents to focus on tracking down drugs that might have been imported illegally. Agents were directed to do “knock-and-talks” — casual conversations with doctors at their offices or homes — about where they were buying their imported drugs. The idea became so controversial that Reuters, in an article on the tactic, branded Karavetsos the “Botox police,” so named for focusing OCI’s pursuits on doctors who imported the popular drug. The story drew attention of Congress, which soon after sent a scolding letter to FDA about the issue. People who worked at OCI said the title of “Botox police” was unfairly dismissive, asserting that tracking down counterfeit drugs was always a key part of OCI’s mission, and fake Botox could put patients in the hospital, or worse. But the strategy of targeting individual doctors did rub certain agents the wrong way. Phil Walsky was the acting director at OCI during the Turkish drug sting. But after Karavetsos took over, he didn’t stick around much longer. “George turned us into accountants with badges,” he told STAT. Walsky complained to STAT about agents being directed to buy thousands of dollars in supplements from stores and having them tested for illegal substances. “That’s a regulatory function,” Walsky griped. Walsky spent 18 years at OCI working his way up to second in command, but after he left he couldn’t even bring himself to even wear an OCI shirt. “If they’re going to keep doing this, then get rid of it,” Walsky told STAT he remembered thinking. 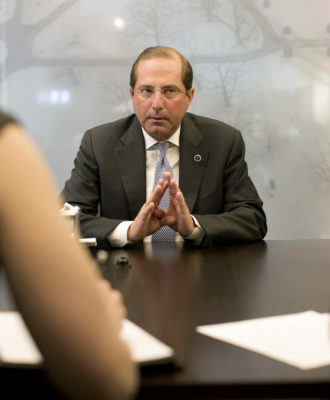 HHS’ Office of Inspector General could pick up most of the slack, he added. He went quietly — despite what he admits are some personal grievances — but soon after, he started getting emails from agents he had never met raising similar gripes. Another former agent who left around the same time told STAT he knew roughly a handful of agents at OCI headquarters who traded in their badges. And of course, not every agent agreed with Walsky and his cohort. Morrison, the special agent at the center of the Turkish drug sting, said he was never frustrated with Karavetsos’ knock-and-talk strategy because he knows what’s at stake when patients get fake drugs. He still remembers the 72-year-old cancer patient in Lenexa, Kan., who welled up with tears when he realized he had been taking diluted chemotherapy medicine. FDA Commissioner Scott Gottlieb, for his part, has pushed for the bureau to take a much bigger role in the federal government’s response to the opioid epidemic. Recent legislation passed by Congress underscores that plan: It empowers the agents to more easily destroy packages going through the mail that contain opioids. “I want you to know that I appreciate how valuable your work is. Not just to the agency overall, but to advancing some of my highest priorities as commissioner, as well as the welfare of Americans,” Gottlieb told a group of agents last November. Cathy Hermsen, a veteran agent who has been serving as acting director since Karavetsos left, has taken up that charge. Under her leadership, OCI has opened 220 opioid investigations resulting in 90 convictions this year. 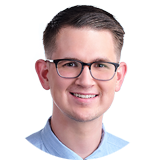 But Hermsen is running the office from Kansas City, Kan. — 1,000 miles away from the organization’s headquarters in Rockville, Md. Former OCI Director John Roth, who praised Hermsen, told STAT that having a director in D.C. is critical to the group’s success. This isn’t the first time OCI has had a director outside of Washington — and it’s also not the first time it’s caused controversy. Congress, once again, is starting to ask questions. FDA said last week that it had finally closed its application process — last June — and is working through the review and selection process. The agency also told STAT that President Trump’s hiring freeze prevented it from searching for a new director immediately after Karavetsos left. A recent letter from the FDA reveals that the position was finally advertised in May 2018 — over a year after Karavetsos left. Nonetheless, OCI made 283 arrests in 2017 under Hermsen’s leadership. And it appears even in Karavetsos’ absence, his infamous knock-and-talk strategy still seems to be going strong. FDA convicted a doctor last month for purchasing illegal Botox. The sting on the Turkish businessmen at the Hilton in San Juan took place in 2014. But those businessmen were just one cog in a transnational crime ring that spanned three continents — and whose reverberations are still being felt today. The sellers at that meeting, Sabahaddin Akman and Ozkan Semizoglu, had been peddling counterfeit drugs from Turkey, and had already been shipping drugs into the United States. Patients had already injected the medicines — some of which weren’t drugs at all, just water and mold. Listening in from the adjoining hotel room, Morrison, the agent in charge, reached the agent with the suspects and told him they were ready to make the arrests. But the agent in the room wanted to get the “gravy on the top.’’ He wanted proof the Turkish men were trying to elude the FDA. So the agent, still posing as a venture capitalist, told Semizoglu and Akman that the FDA was on the way to his warehouse in Texas and that he had left all of their incriminating documents laying around. The suspects panicked and said they wanted to be on the first plane back to Turkey. The “financier’’ obliged, putting them in a car to the San Juan airport, which was quickly surrounded by the FDA and local police outside the hotel. Semizoglu and Akman were sentenced in 2014 and 2015, respectively, to more than two years in prison. But the original sting was only part of a broader investigation of counterfeit drug smuggling. In addition to the two Turkish men, a dozen others have been indicted. The most recent, a Canadian, Kristjan Thorkelson, was ordered in April to pay $250,000 in fines and return $29 million in profits from his illegal drug importation business. His company, Canada Drugs, was selling drugs to doctors across America. The Turkish offenders were some of its suppliers. 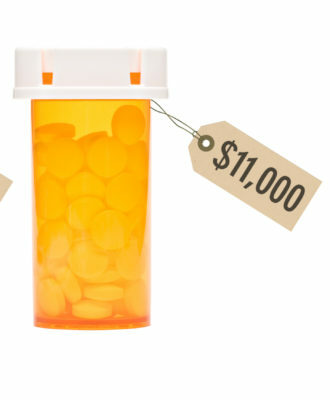 And, it turns out, pricey cancer medicines weren’t the only drugs coming through that black market pipeline. Also among the drugs being trafficked: Botox. Maybe all those knock-and-talks weren’t for naught. This dept may have built in problems just as all the others but they deserve the guns , tanks , anything to help us .Im a pain patient and feeling the crisis from a unique and horrible way ..im a retired Firefighter /Emt / first responder . Ive seen so many horrible things in these years .i have been cut off my opioids .Who do i stand for ? They need everything to fight .let them do it . like we really dont get cats down much anymore but thats what so many still think ..Ever seen a cat skeleton in a tree ? These agencies that were supposed to protect our health, have all been undermined by industry interests. The underfunding was done strategically, to help the industries. If we don’t know the facts, we can’t act on them or change anything. Instead of going after the real criminals, the pharma marketers and profiteers, they went after people with chronic pain. People like you that worked hard and risked their health to protect the public. The insurance companies have an interest here too. They knew that if they could deny pain patients or label them as addicted or mentally ill, they could deny payments, and make even more money. Pharma peddled useless dangerous and ineffective alternatives, none of them worked and some actually killed people, but they were peddled as less dangerous than opiate addiction. A bunch of Psychology marketers jumped in too, along with the treatment industry, every one of them denied the existence of pain, peddled a phony cure or attributed it to mindset, attitude or catastrophizing. they did not need any scientific evidence that these things even existed , all they had to do is create doubt. Instead of going after the criminals they forced pain patients to suffer, of course many of these people with pain did not have the luxury of takinga day off when the injuries became permanent, The medical industry saw profit in denying care and giving out opiates to people who could not get decent healthcare. It is a lot more profitable to go after people with pain and their responsible physicians, than to stir up the wrath of industry insiders enforcing the Laws on counterfeit pharmaceuticals, or drug distributors. Tracking down counterfeit drugs might embarrass a few of the profiteering corporations, and undermine what little faith Americans have in the system. These same Agencies were attacked, undermined and underfunded, when opiate wholesalers flooded the market, even now they are unable to prosecute the real offenders, and choosing to go after sick people and their doctors. It is very clear that this administration chooses profits over people, so our FDA is hamstrung. The media has not covered the many cases of counterfeit drugs, deaths, or contamination either. Those topic are effectively censored because they can be bad for business and cut into Pharma Profits. If it ain’t broke; don’t fix it. But if it regulates trade, even illegal and harmful trade, it sounds like the Republicans are all for it being shut down. Here is an agency protecting public health often from armed bad guys, and the Republicans want to close it down, and are even now bleeding it dry with no leadership. It is clearly NOT a budget issue, as the office brings in more revenue than it costs. So much for claims of deficit reduction hawkism. I love it when I hear an ignorant congressman talk about arresting a guy for selling tainted milk. Wonder what he would think if his grandkids wound up in the ER from bad milk.